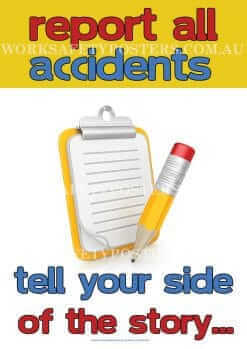 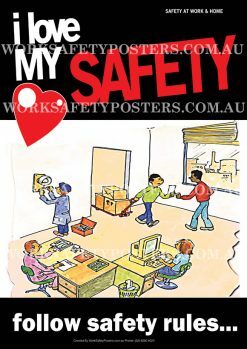 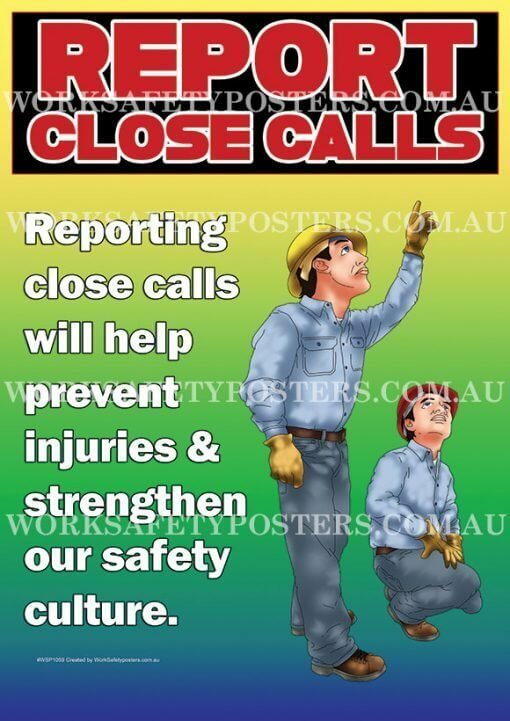 Share your safety message by placing Report Close Calls Safety Posters in and around the workplace. 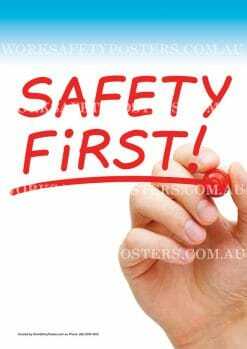 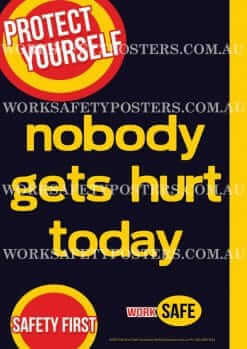 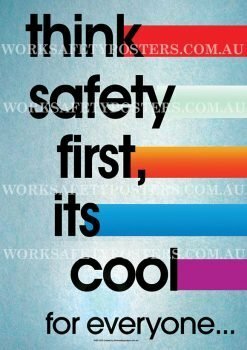 Playground Australia have been designing safety posters since 2009. 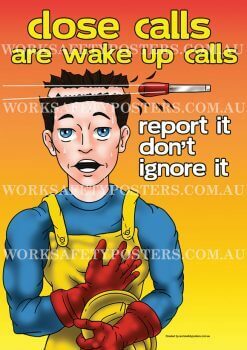 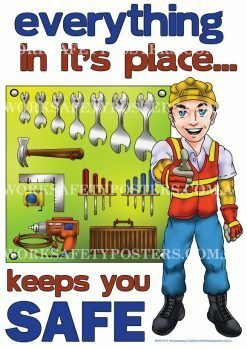 Our knowledge of work health and safety has helped us develop a unique line of attention grabbing and effective safety awareness posters.